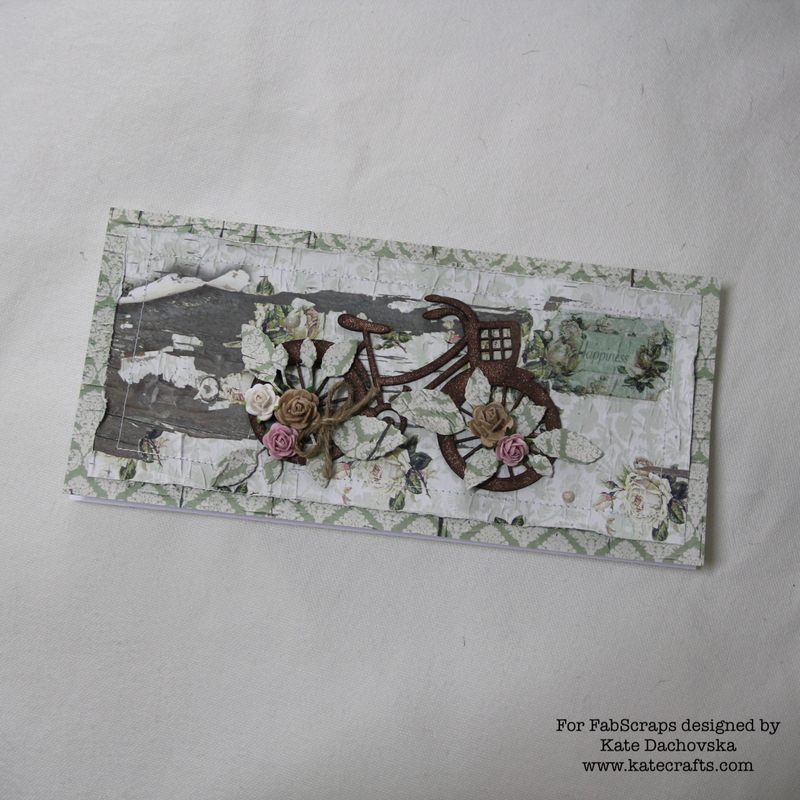 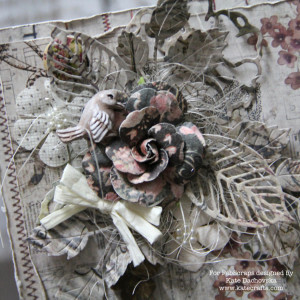 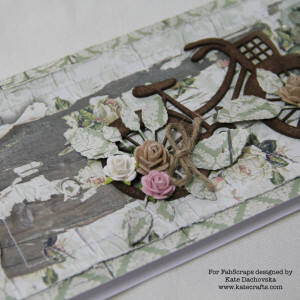 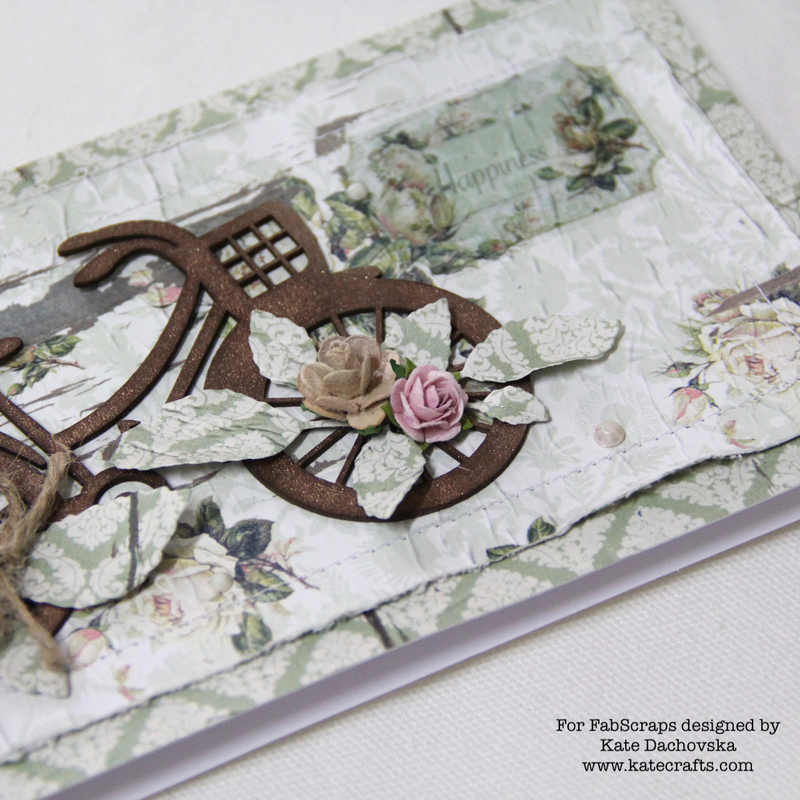 This entry was posted in FabScraps and tagged cardmaking, FabScraps. Prepare big (13,5×13,5cm) and small (12,5×12,5cm) paper panels. 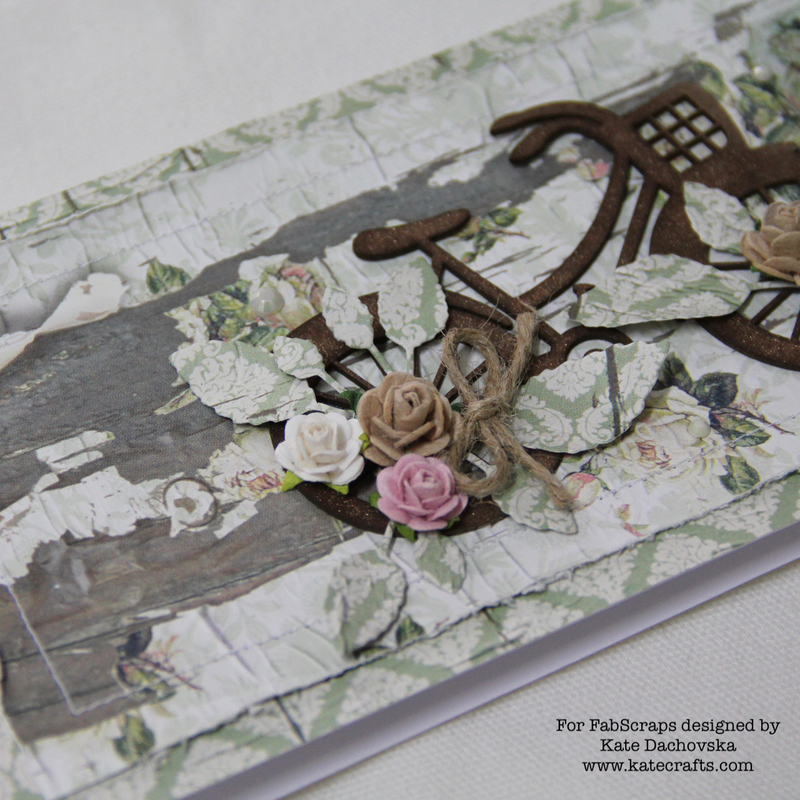 Distress papers edges and glue small paper panel onto the big card. 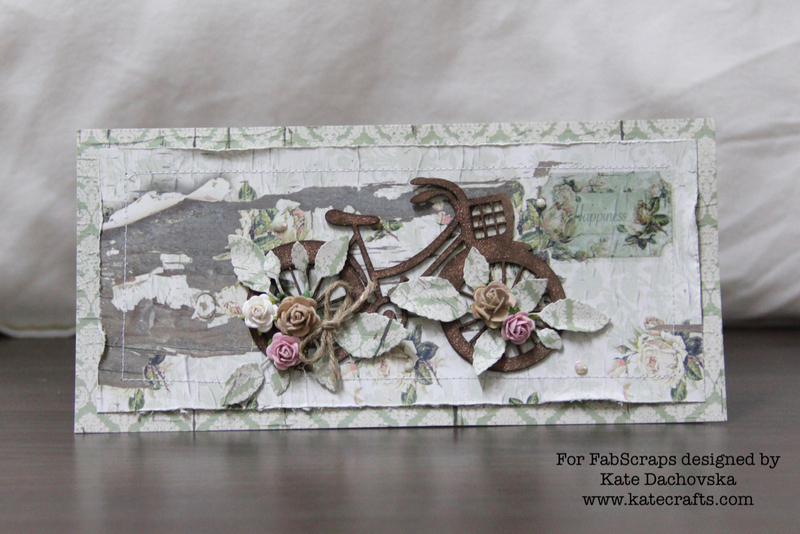 Prepare all die cuts and other embellishments. 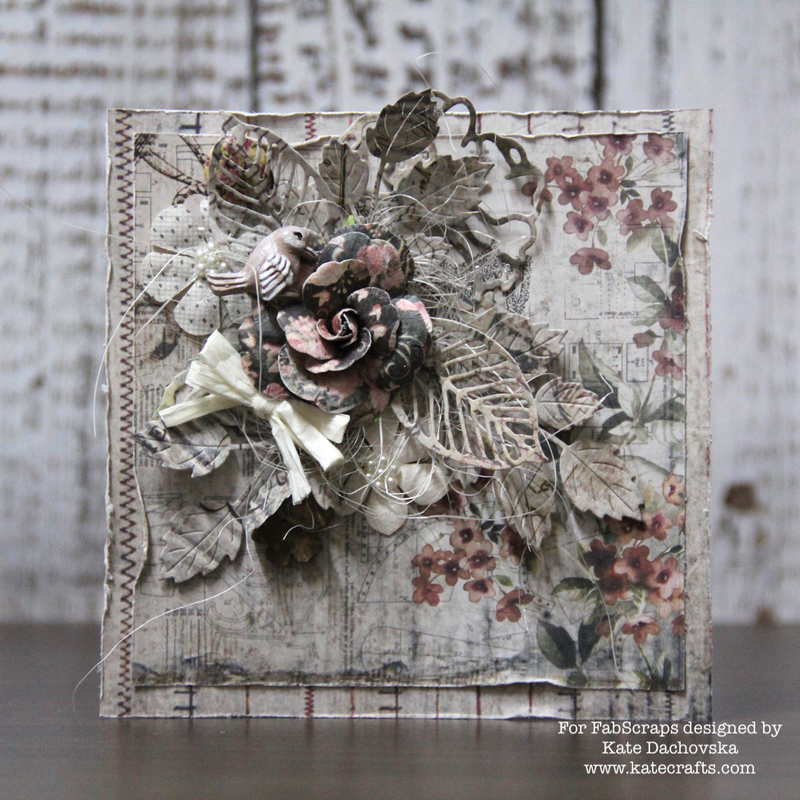 Start your Focal point – glue die cuts, florist decoration and main paper flower. 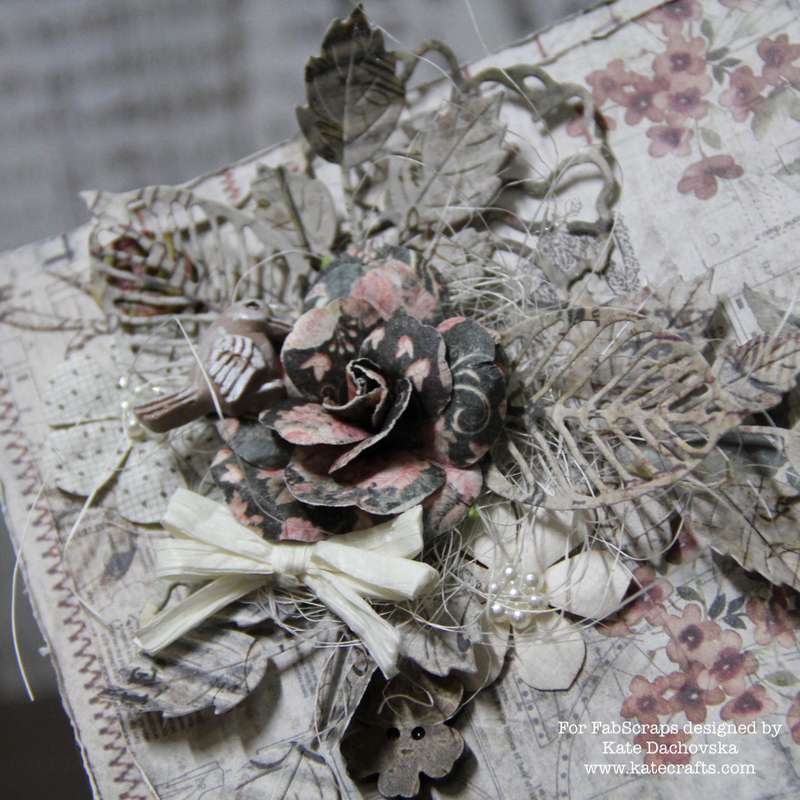 Glue vintage buttons and make bow from paper ribbon. 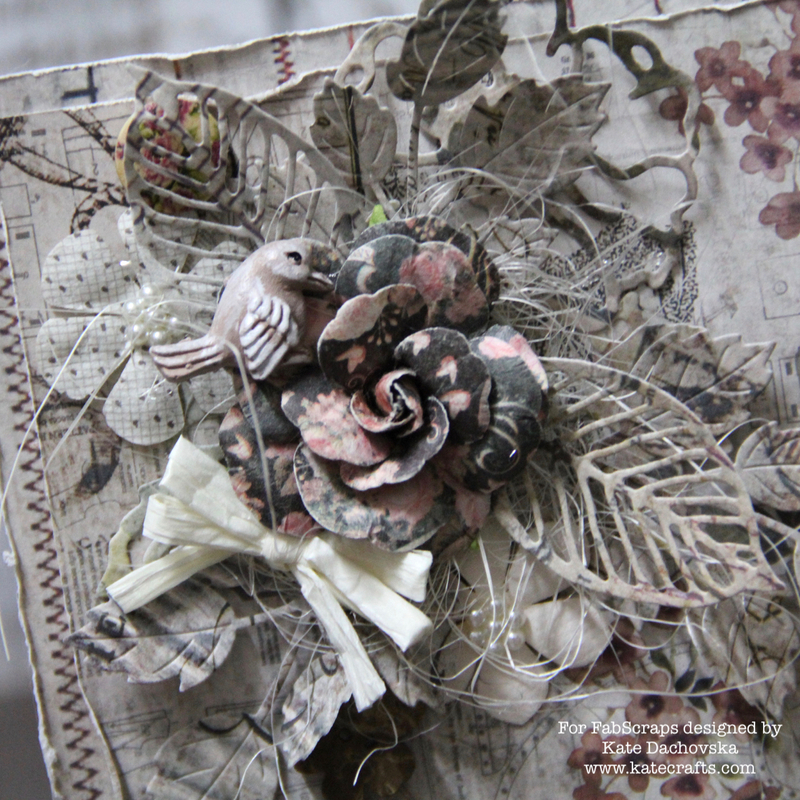 Glue it down and then glue ceramic tiny bird. 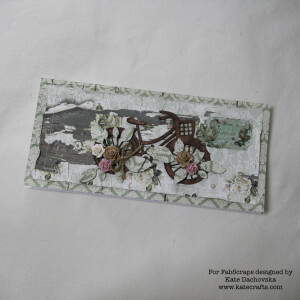 Glue prepared panel onto no card to finish card.